Jazz pianist/composer Ray Gallon has performed with many of the leading artists of jazz, including Ron Carter, Lionel Hampton, Art Farmer, T.S. Monk, Dizzy Gillespie, Milt Jackson, Sweets Edison, Wycliffe Gordon, Les Paul, Benny Golson. Frank Wess, Lew Tabakin, George Adams and the Mingus Big Band. He has performed at most of the major jazz festivals and venues throughout North and South America, Europe, and Japan and has appeared in gala concerts at the White House and the Kennedy Center. Ray has also accompanied many vocal greats, including Jon Hendricks, Sheila Jordan, Grady Tate, Nnenna Freelon, Gloria Lynne, Dakota Staton, Joe Williams, Chaka Khan, and Jane Monheit. In addition, he also leads his own trio as well as performs solo concerts. His compositions have been recorded by T.S. Monk, the Harper Brothers, and George Adams. Ray has appeared on numerous recordings, including Lionel Hampton's Grammy-nominated Cookin' In the Kitchen. His broadcast appearances include NBC's The Tonight Show and Today as well as several nationally broadcast concert performances on BET-TV and NPR. Involved in jazz education, Ray is currently a full-time faculty member of the BFA Jazz Program at The City College of NY, has taught courses at The New School, and is on the the faculty of the The Vermont Jazz Center's Summer Jazz Workshop series. He has led or participated in numerous workshops and master classes throughout North and South America. 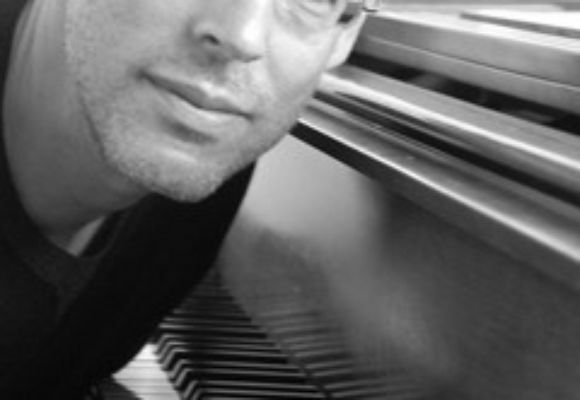 Ray is the co-leader/pianist/composer of a series of internationally distributed jazz practice and study aide CDs.